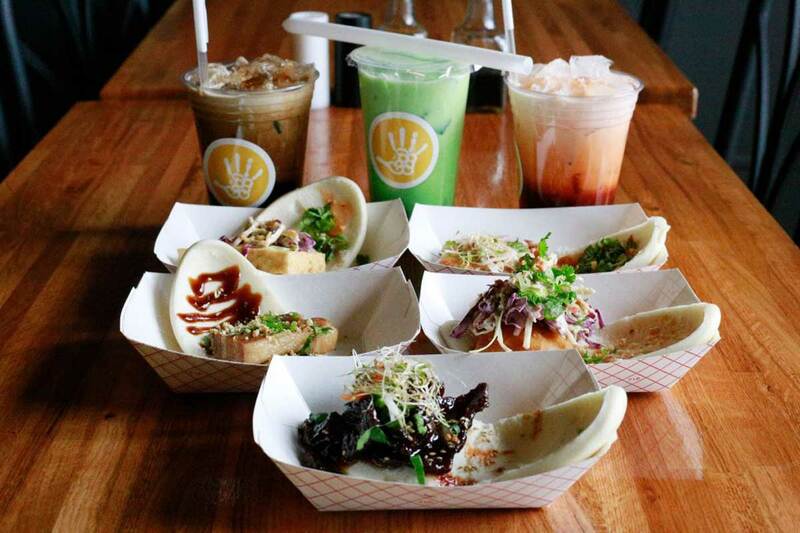 The Good Bao is your go-to stop for rice bowls, Asian-inspired beverages such as bubble tea and, of course, the baos -- which the owners describe as an “Asian hamburger.” The bao refers to the lightly steamed bun that’s used as the vessel for all the tasty fixings they pile on to these “burgers.” You can choose from a wide variety of proteins, including Laos-inspired chicken, Korean beef and Taiwanese pork belly, as well as fried fish and tofu. With so many delicious options, you don’t want to miss out on trying one. 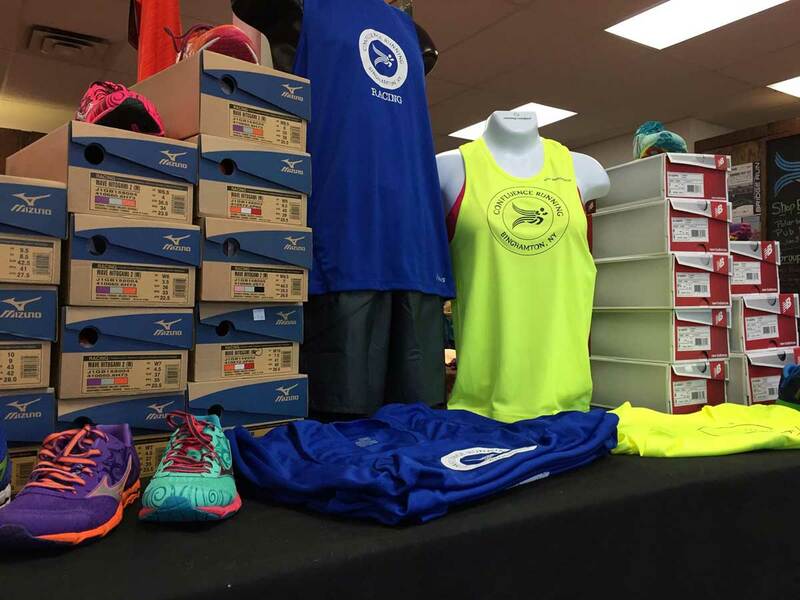 Confluence Running is not just a running speciality store. Sure, they sell top-notch sneakers and other athletic apparel, but they’re much more than that. They specialize in helping people find the best shoe that fits their particular foot needs -- whether they’re looking to start a fitness journey, stay comfortable for long hours on their feet, or alleviate or avoid common ailments. Confluence Running is an all -inclusive place for athletes and beginners alike to use as a resource for improving their health, fitness and performance levels. Stop in and get laced up! People flock to Binghamton Hots for their “Hot Plate” -- a dish modeled after a famous concoction originating from Rochester, N.Y. The Hot Plate is loaded with cheeseburgers, hot dogs, macaroni salad, home fries and whatever else they have on hand in the kitchen, all topped with Hots’ homemade, Rochester-inspired hot sauce. 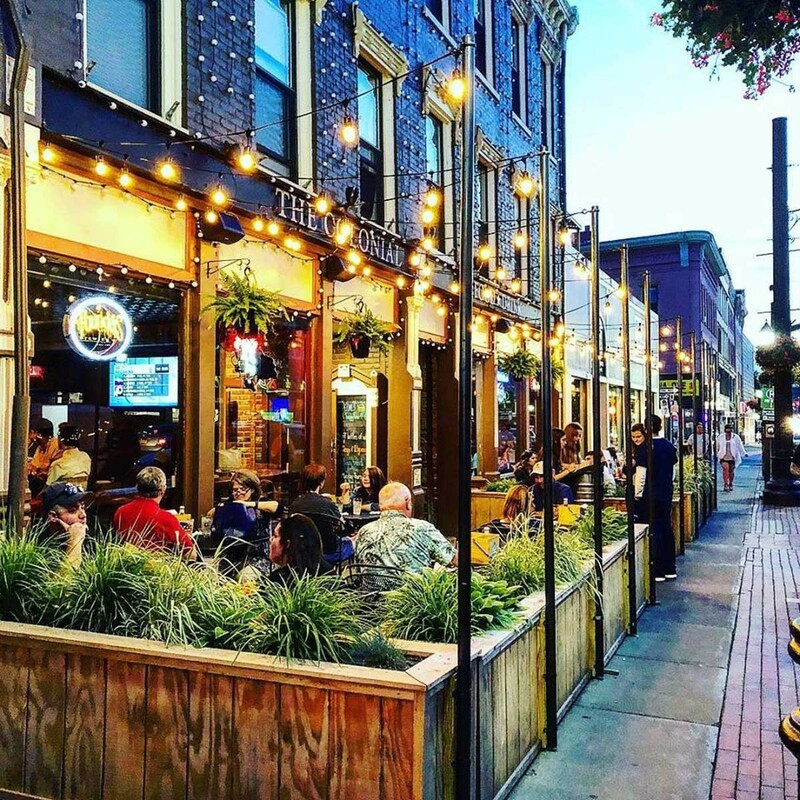 Binghamton Hots was voted one of “The 39 Most Iconic College Town Food Joints Across America” by Spoon University, as well as one of the “10 Best College Town Burger Joints” by College Magazine. It’s a prime spot for fast food or a late-night bite. Plus, this just in! They will be opening a second location on Main Street in Johnson City in the near future! Screen printing brings people together -- that’s the motto at Muckles Ink! 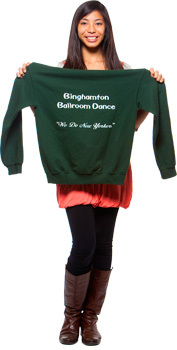 This business creates official Binghamton University apparel and regional designs, plus they offer live and commercial screen printing. Their services are perfect for events, festivals and any other occasion you might need custom apparel for. Bonus: They have a brand new location opening up soon in downtown Binghamton. 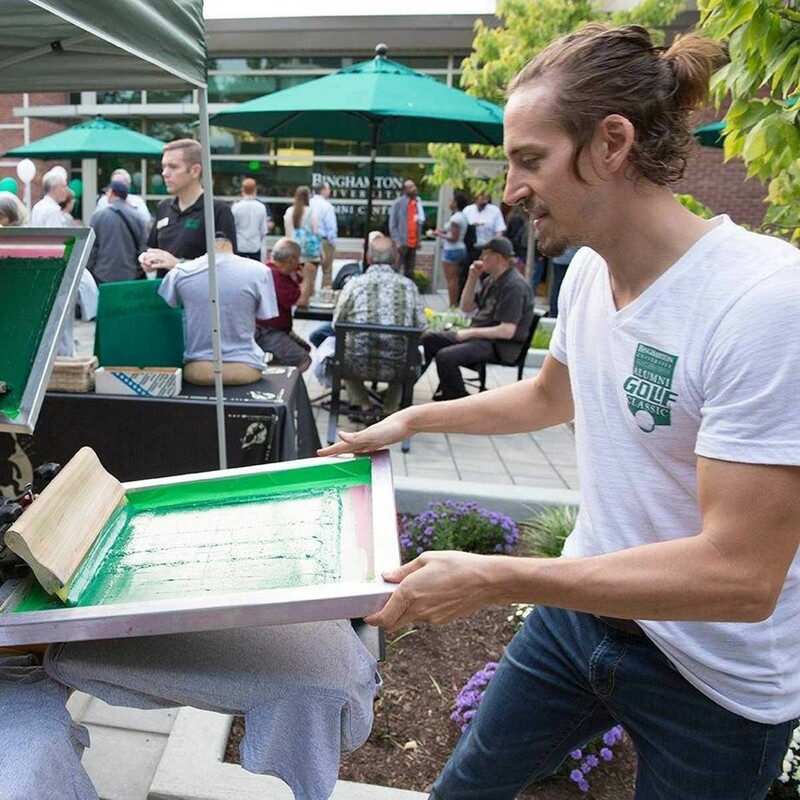 Want to see screen printing in action? Muckles Ink will be live printing at Homecoming on the back patio area of Old O’Connor. Stop by and see what they’re all about! Just a short drive away in Endicott you’ll find Antonio’s, which features a vast array of Italian dishes and the only homemade authentic gelato in the area, made by Antonio himself. Fun fact: He was trained by one of the greatest gelato chefs in Milan, Italy. Another fun fact? 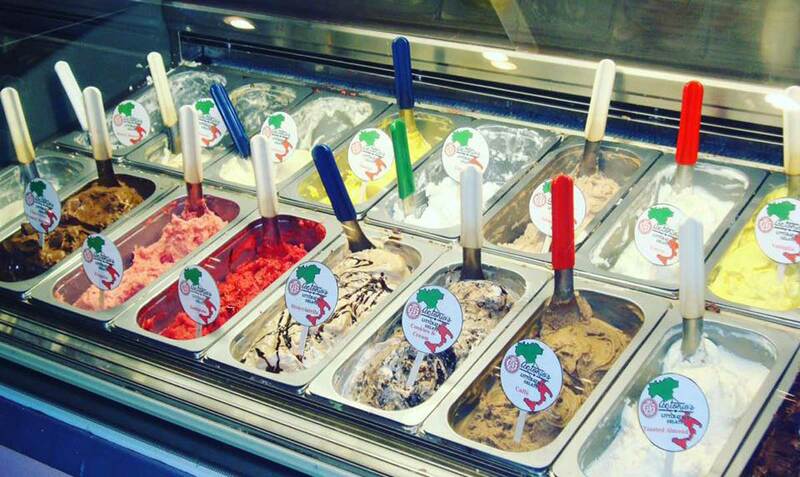 Antonio’s makes 45 flavors of gelato, so you’re sure to find one you’ll love! If you’re looking for a great Italian dinner, or a sweet treat, this is the place for you. CommuniKey is an app created by a group of local Binghamton University graduates. Just a small fee each month grants you access to tons of deals and discounts you can use at local businesses. You’ll even be notified of flash sales and special events. Save money while supporting your local businesses! Have a business that needs promotion? 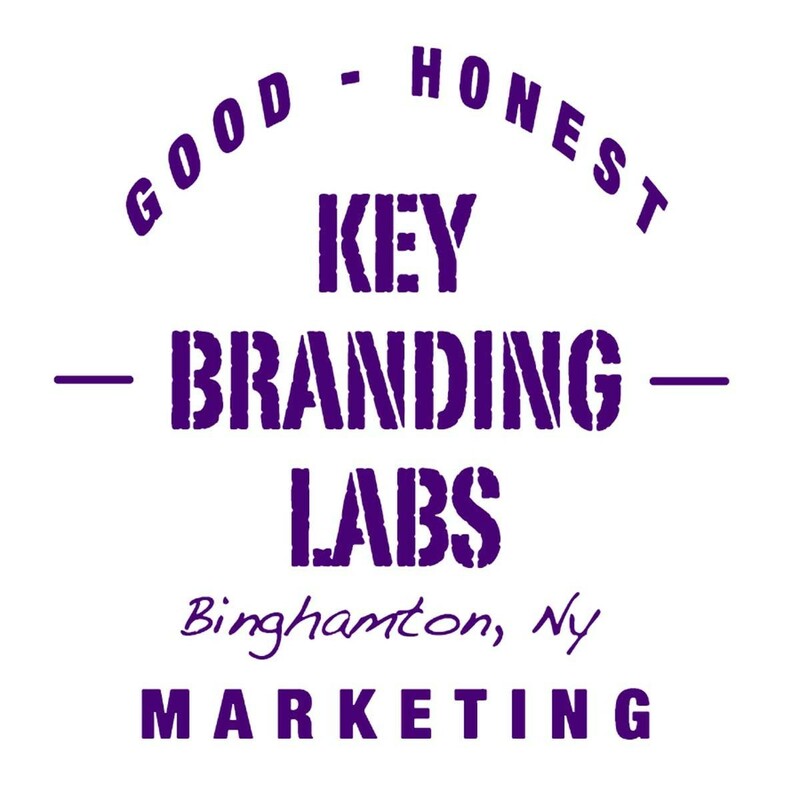 This group's newest business venture, Key Branding Labs, is a marketing agency that focuses primarily on social media management, using platforms such as Facebook and Instagram to market your business. They also help with management of other digital marketing strategies like web development, video production and email marketing. 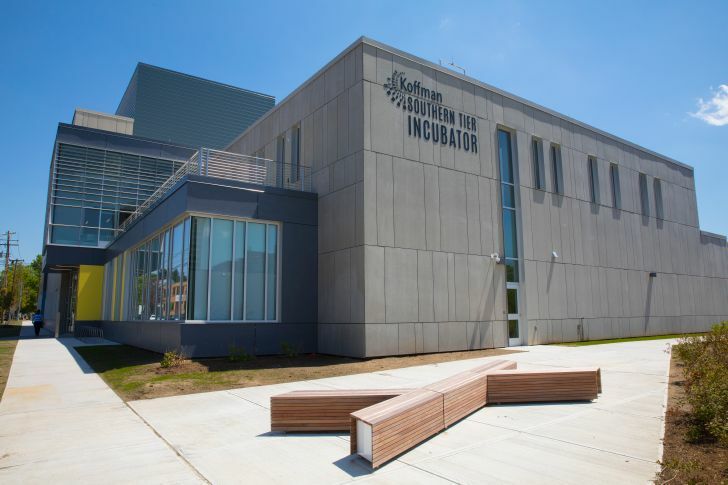 Even cooler, Key Branding Labs was the first graduate of the Koffman Southern Tier Incubator, which fosters entrepreneurship in the Southern Tier. Market your business -- big or small -- for success with the help of this fantastic group of people. 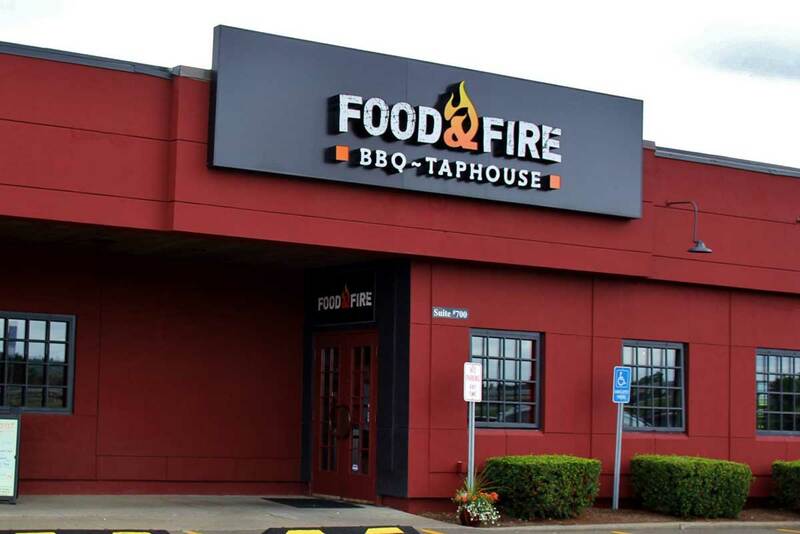 If you’re a lover of BBQ or craft beers (or both! ), then Food & Fire has got you covered. 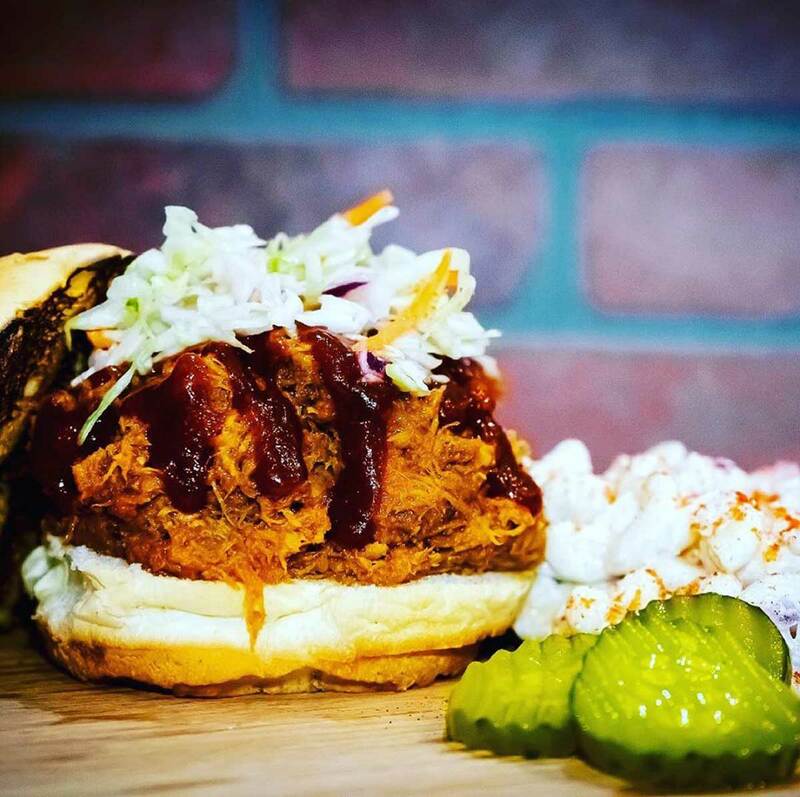 This passionate, world-class BBQ team strives to bring the people of Binghamton authentic, cooked “low and slow” BBQ that people typically have to travel several states south to get their hands on. Is your mouth watering yet? Give your tastebuds what they want, and while you’re at it, enjoy the vibrant atmosphere of the restaurant with some of the best craft beers. SouthSixty is a creative media house located right in the Koffman Southern Tier Incubator in downtown Binghamton. They work with local and global brands to develop film, digital and commercial content. If you have a story you want to tell, they’re the team to bring it to life, using innovative digital techniques. They take care of conceptualization, filming, editing, visual effects, music and anything else involved with creating your individualized project. See for yourself just how crazy-talented they are and check out some of their featured work! Calling all vegetarians and vegans! Whole in the Wall is a natural foods restaurant that serves a variety of international dishes, with tons of options for those with special dietary needs. 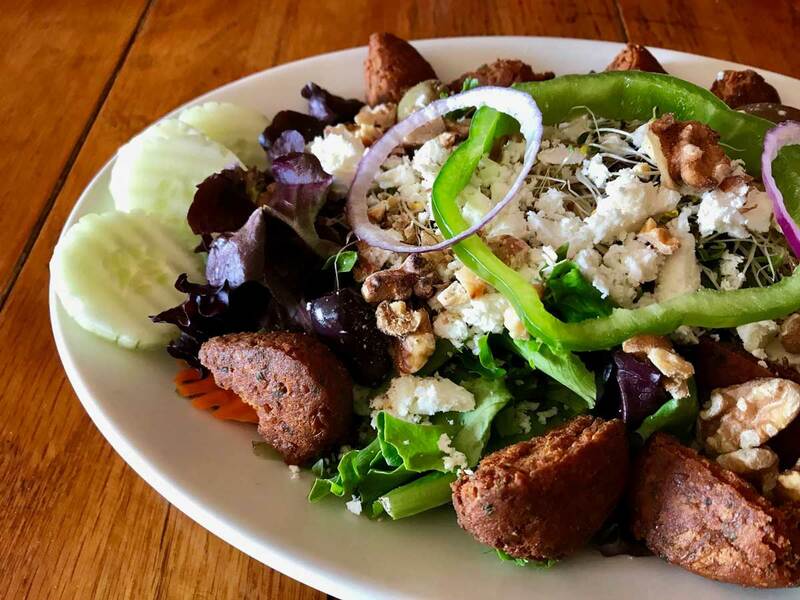 But don’t be put off by the “natural foods” descriptor; Whole in the Wall is passionate about serving up food that is both flavorful and hearty, and they also serve fresh seafood and poultry. Plus, their homemade pesto is kind of a big deal; it’s been called the best pesto in the universe. If you’re looking for delicious, one-of-a-kind burgers, The Colonial serves up some of the best in the area, including a PB&J burger, a beer cheese burger and a falafel burger, among several others. They won the award for Best Burger in the Southern Tier at the “Belly Busting Burger Battle Competition” in 2016. Dos Rios is the newest restaurant to the downtown Binghamton scene, serving up a modernized take on traditional Mexican cuisine. Get your hands on some of their tacos, burritos, nachos, enchiladas and so much more. You’ll marvel at the insanely cool interior, full of Mexican inspired artwork and decor that ensures your dining experience is unique.